In a medium saucepan, bring sugar, cocoa, butter, milk, and salt to a boil. When mixture comes to a full rapid boil, set a timer for one minute and continue stirring constantly. 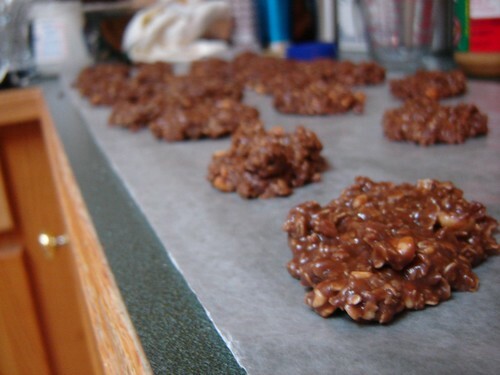 Remove from heat and add quick cooking oats, peanut butter, and vanilla. Mix well. Working quickly, drop by spoonfuls onto waxed paper. Cool for 20 minutes or until set. 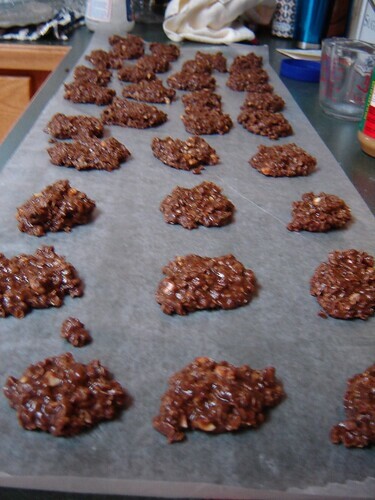 This is what the cookies will look like after spooning onto waxed paper. And this is what they will look like after they are set. I hope you enjoy this recipe! 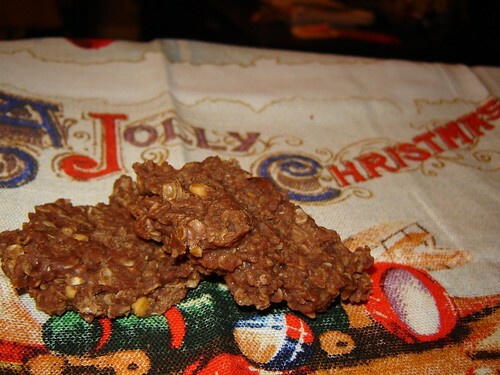 These cookies keep well for several days, which makes them great for shipping or making ahead.